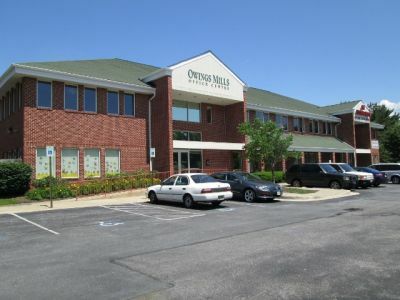 Well maintained office building in Owings Mills, Featuring 8 office suites on 2nd floor (with elevator) and daycare center on 1st floor. Office space ranging from 990 sq. feet to 1877 sq. feet. 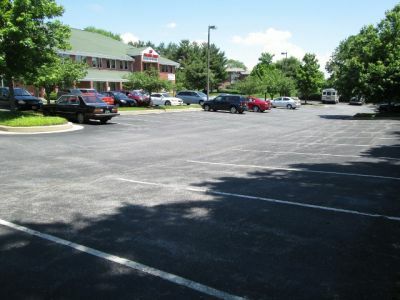 Conveniently located in a central setting with easy access to Reisterstown Road and I-795. 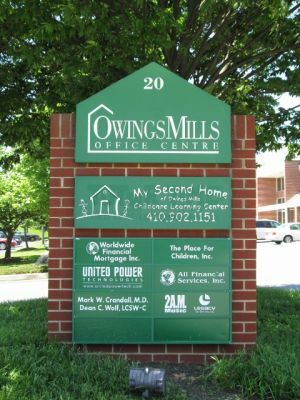 Leasing by Hoff Owings Mills, LLC. Call Daniel Hoff with Park Avenue Property Management at 410-259-0779 to inquire about any space that is currently available or coming available soon. 1,200 sq. foot office space located on the 2nd Floor with elevator access.